Bored with your apps, looking for something new? 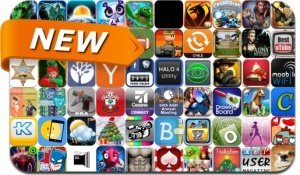 Check out these 69 iPhone and iPad apps that were just released. This new apps alert includes Dragon Slayer, Clouds & Sheep, Celeb Poker, Asura Cross, Mystery Case Files: Return to Ravenhearst, Monster Pinball, Meganoid 2, Skylanders Battlegrounds, Rage of the Gladiator, Bladeslinger Ep.1 and many others.